If you think I should be ever so much more understanding than I appear to be, I urge you to see a 1932 French film director by Jean Renoir called Boudu Saved from Drowning (Boudu sauvé des eaux). A used bookseller played by Charles Granval rescues a tramp (played by the great Michel Simon) from drowning in the Seine. Out of a total lack of gratitude, Boudu opens a rare edition of Honoré de Balzac, spits in it, closes the book, and returns it to the shelf. If someone were to spit in one of my Balzacs, I would gladly perforate his spleen and any adjacent internal organs. One interesting thing about sitting in a mall is the variety of people who pass by. It is incredible to me how many Americans are grossly overweight. 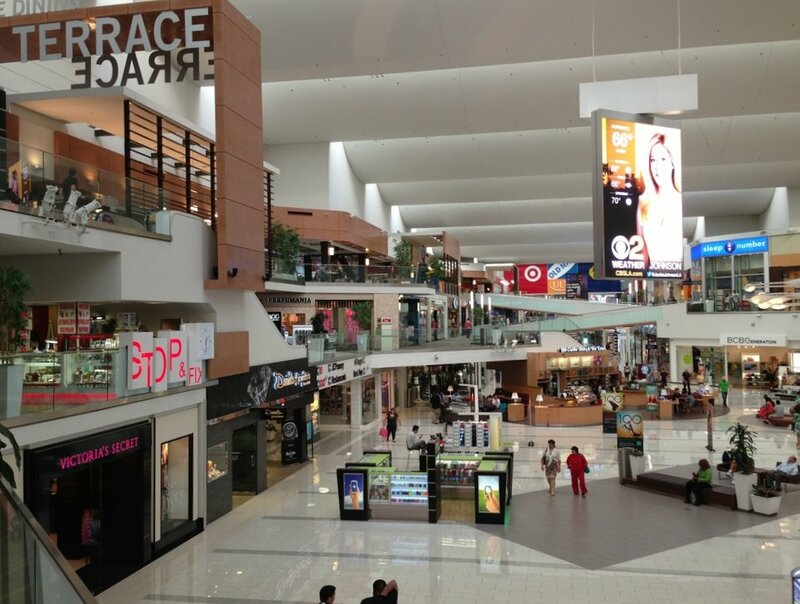 Also, since the mall is located in Culver City, I am amazed by how many drop-dead gorgeous young African-American women there are. Also, at least during the day, people are unusually nice to one another. Among the restaurants, there are some interesting Asian choices, such as Bibigo (Korean), Dot Saigon (Vietnamese), 101 Noodle Express (pan-Asian), and Panda Express (Gringo Chinese). If I wanted to go more upscale, there is an Oliver Garden and a Wokcano at the ground level. Next week, the temperature is supposed to be particularly heinous (with temps going up as high as 108° F in the interior, probably higher given the unusual Southern California conservatism in predicting high heat). This entry was posted in personal and tagged bums, culver-city, heat, jean-renoir, westfield-mall. Bookmark the permalink.